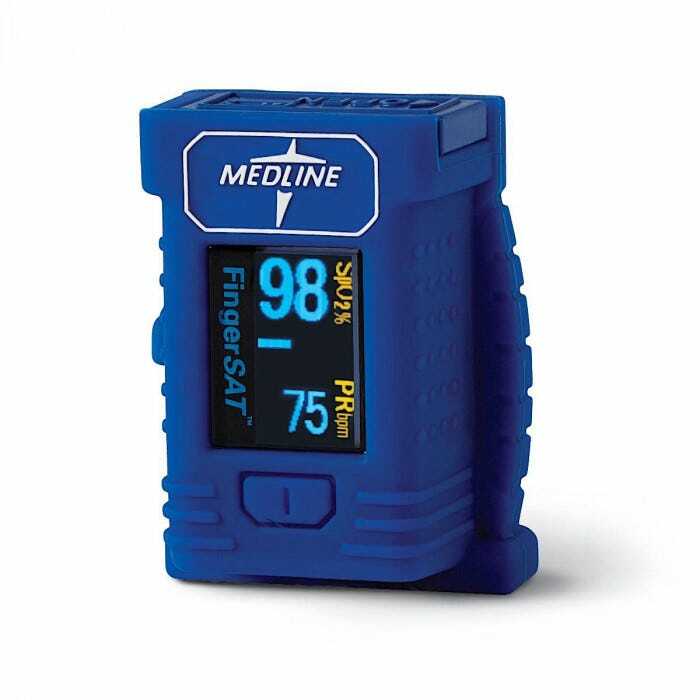 The Medline High-Impact Finger Pulse Oximeter is small and lightweight, and the clip sensor automatically takes readings when a finger is inserted. 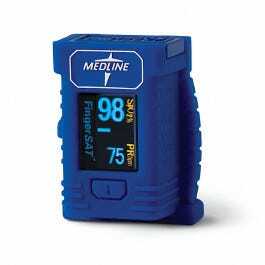 The Medline High-Impact Finger Pulse Oximeter takes precise readings in seconds, as well as SpO2, pulse rate and pulse bar readings. It has a multi-directional display with full-color OLED screen and its durable silicone boot construction resists cracking and chipping. Has a hinged battery cover and includes AAA batteries, lanyard and warranty.